Gus Suarez has been practicing law in the South Florida community since 1986. Mr. Suarez’s philosophy is to obtain results and establish and maintain lasting relationships with his clients. Since client satisfaction is the ultimate goal, Mr. Suarez provides personal attention to all matters undertaken by his firm. The firm concentrates its practice areas to health care law, business law and personal injury. 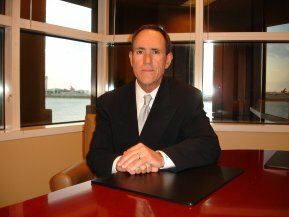 Mr. Suarez enjoys over 31 years of legal experience and during that time has helped his clients deal with a wide range of legal issues. Mr. Suarez has vast experience is assisting medical providers faced with various legal endeavors and challenges. In the medical area, Mr. Suarez’s practice is concentrated on representing medical companies such as assisted living facilities, health care clinics, mental health centers, rehabilitation centers, diagnostic facilities, home health agencies, pharmacies, physicians and physician groups in connection with their highly regulated businesses. For example, Mr. Suarez regularly assists his clients with the sale or purchase of medical businesses (stock sales and asset sales) and the various Federal and State regulatory compliance issues involved. Mr. Suarez also regularly assists medical professionals and businesses facing disciplinary or administrative sanctions or suspension and/or revocation of provider billing privileges. Mr. Suarez also regularly assists his medical and business clients with the preparation of and review of contracts, leases, shareholder agreements, operating agreements, partnership agreements, the formation and representation of business entities and mergers and acquisitions. Basically, Mr. Suarez can provide your business with most of the legal advice and services you will ever require. Mr. Suarez received his J.D. in 1986 from the American University’s Washington College of Law in Washington D.C. and has been honored with the “AV” highest rating for competence and ethics from Martindale-Hubbell since 1995. Prior to The Health+Business Law Group, Mr. Suarez was a founding member of the health law firm of Wilson, Suarez, Lopez & Gennett in Coral Gables, Florida. Associated Photo & Imaging, Inc.
Aventura Wellness & Rehab Center, Inc. Dangerous Goods of America, Inc.
East Atlantic Gardens Condominium, Inc.
Hacienda Estates Owners Association, Inc.
Hialeah Wellness and Rehab Center, Inc.
Justiniani, Fernandez & Pujol, M.D., P.A. North Riverview Condominium Association, Inc.
Olga E. Lopez, M.D., P.A. Tallard Technologies of Venezuela, C.A. Tender Care Home Health Services Corp. Towers North Condominium Association, Inc.
To speak directly with Mr. Suarez email him at gs@suarezpalaw.com or call 305-443-8900. Se habla Español.